If you don’t have prior experience with mindfulness meditation, please see the “Cautions” section below and talk to your healthcare provider if you are experiencing any of the conditions listed. Why is it important to practice mindfulness? 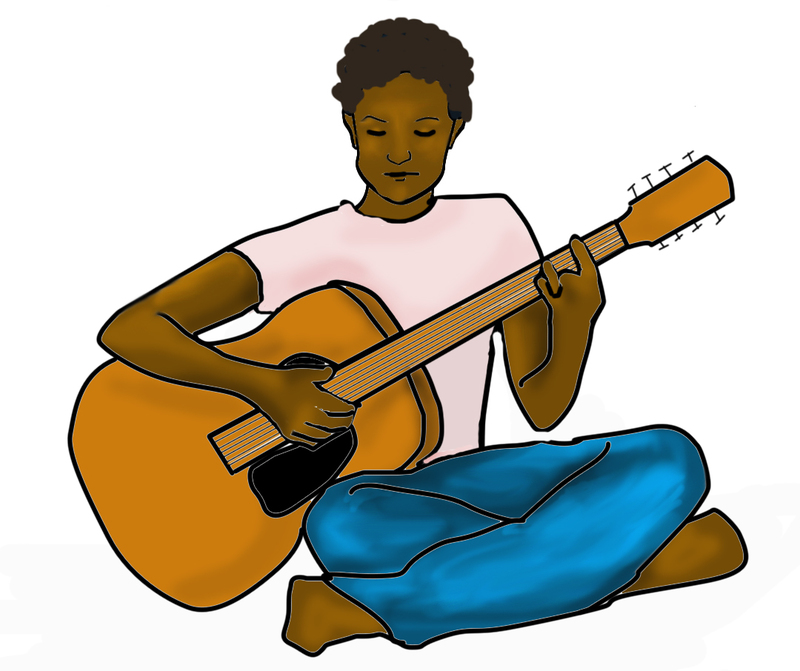 Imagine you are learning to play the acoustic guitar. The first time you sit down to practice, would you expect to be able to effortlessly play your favorite song? Of course not! Learning to play your favorite song on the guitar would take lots of practice. Mindfulness, like music, requires regular practice so you can develop greater levels of skill. Similarly, if you want to learn to play classical guitar music, then you’ll practice in a particular way, such as working on scales or practicing timing. If you wanted to play pop songs, then you’d practice in a different way, perhaps working more on memorizing chords and finger positioning. Mindfulness, like different genres of music, has many different methods, there is no one “right way” to practice. The more you formally practice mindfulness, the more you will begin to experience moments of presence throughout your day. A new mode of “being” becomes accessible to you so that even in the midst of a whirlwind of activity, you can still act from a place of greater presence and balance. Practice sitting meditation with guided instructions from a mindfulness teacher. One of the most common postures for practicing mindfulness is sitting. You can sit on a chair or a meditation cushion or bench. There is no magic about any particular seated posture, just ask yourself: what would support my being alert and at ease while I practice mindfulness? If a seated posture is difficult for your body, then try out another posture, such as lying down or standing. Remember the posture supports the practice, it doesn’t define it. In beginning any formal meditation practice period, it is often very helpful to spend a few moments connecting with your intention. Your intention to practice is associated with cultivating greater wakefulness and kindness in your life – this intention is very nourishing and a powerful form of self-care. Reflect on your intention for a few moments, and as you hold it in awareness, notice if you can tune into any sensations in your body. Shift attention to the body. Let go of the reflection on intention and begin to tune into the felt-sense of your body. Rather than thinking about your body, you want to become attentive from the inside out. Allow yourself to notice the aliveness that is happening inside the body. Take a few moments to offer kind attention to any places of the body that might need it. You’re not trying to change, fix, or force the body to relax, rather you’re acknowledging the body as it is in this moment. If you notice that you’re bracing against a physical sensation, then take a few moments to notice this relationship (“Oh, I’m bracing against this discomfort / pain … this is difficult …”) and invite the possibility of kindness – in this way, even if there are painful sensations in the body, you can still try softening the way that you’re relating to them. Begin to feel the sensations of the breath. Begin now to feel the sensations of the breath in the body – wherever you feel these sensations most naturally. For many people the soft, breathing belly is the most supportive place to rest the attention. 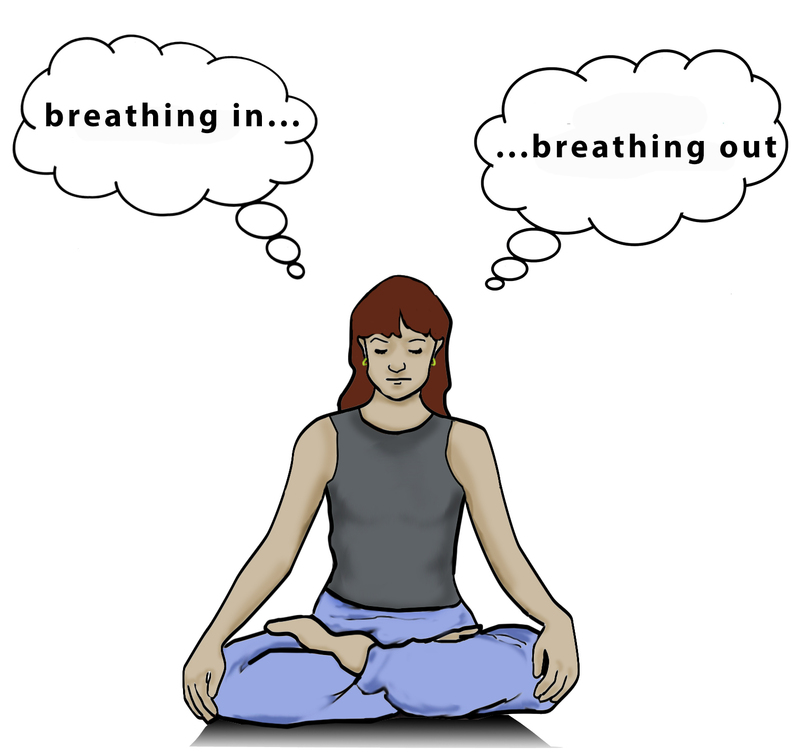 This deep diaphragmatic breathing can help us to slow down and also breathe more deeply since many of us breathe using only a fraction of our lung capacity throughout the day. If you don’t easily connect with the breath in the belly or feel uncomfortable connecting there, tune into the sensations of the breathing body somewhere else. Allow yourself to rest your attention with the aliveness of the breathing body. At times, your attention will be pulled away from the breathing body to another experience (a sound, a thought train, an emotion) and you will get lost inside that experience – no longer aware that it is just a passing phenomenon. Fortunately, at some point you will “wake up,” recognizing that you have lost connection with the present moment. Take a moment to notice your attitude when you first “wake up” – is it self-critical (“I knew it … I’m bad at mindfulness and I’ll never get it")? Is it non-judgmental (“Ha! … I was lost … it’s great to be aware again!”)? This will let you see directly how judging and self-limiting attitudes often lead to more moments of being lost and non-judging attitudes support the arising of more moments of mindfulness. Remember that mindfulness is not about achieving a particular kind of experience, rather it’s developing a steady and balanced mind and heart that can stay present to whatever situation or experience arises. When your mind and heart are steady, balanced, and fully resourced, thoughts are not a problem, emotions are not a problem, sounds are not a problem, in fact, any sense experience is not a problem. Sometimes it’s best to take a break. There are times in practice when our mind and heart are not able to remain steady, balanced, and open to experience. During these times of practice, the most helpful thing to do is to take a break from formal mindfulness practice. You’ll know it’s time to take a break if you notice that you are extremely agitated, your body is very tense or you feel like a difficult emotion or thought is in the driver’s seat and your attention is along for the ride. What are other ways to develop mindfulness? You don't need to do sitting meditation, there are practices for developing mindfulness in any body posture, such as standing or lying-down. Some people find the body scan meditation a useful way to cultivate embodied attention. Sometimes you might find moving meditation particularly helpful for settling an active mind. Notice the sensations in your body as you walk—in your legs and feet, arms, chest, and head. As you notice these sensations of walking, you may find it easier to drop the tendency to worry, plan, or ruminate on something that just happened. In addition to practicing mindful walking as you go about your day or take a walk outside, you can also try a more formal walking meditation . This type of walking is best done in a quiet, private place. Find a spot where you can walk forward and back approximately 10 paces in each direction without obstructions. Stand for a minute and take a few mindful breaths. Lift your right foot, move it forward, and place it on the ground in front of you. As you do so, gently note the actions of lifting, moving, and placing as a support to connecting your attention to the physical sensations of each of these phases of movement. Do the same with the left foot—lifting, moving, placing. Feel the sensations instead of thinking about them. If the gentle noting (see above) is distracting or leads to endless thinking, then don’t use it and stay with the felt-sense of the movement. When you reach the end of your path, stop, breathe, and slowly turn around. When you are done, take a few breaths. Learning to bring mindfulness into different activities helps bring the benefits more fully into daily life, since we don’t stay in only one posture all day. Make a note to pause and pay attention once in a while as you are walking. You can do this anywhere—while walking down the street, at work, at home. Ask yourself when you start to walk “What’s one new thing I can notice? Tune into the sounds you hear when walking, or the sights. Don’t try to figure them out or evaluate them (“what is that bird? that is noisy!”). Listen and see from an open and receptive space of mind. Stop and take at least one mindful breath when you get to your destination. Learn to bring more awareness and relaxation to your body with a 14-minute seated body scan. Seek appropriate help from an experienced therapist, counselor, or medical health provider. While mindfulness meditation can be therapeutic, it is not a replacement for therapy. If you are currently struggling with any of the challenges listed below, consult with your healthcare provider to discuss whether mindfulness meditation is appropriate for you at this time. If you are unsure if meditation is appropriate for this or other reasons, ask yourself “how am I handling what’s happening for me right now? Do I feel as though I have sufficient inner resources to meet this experience or do I need additional help from my support network to help me meet this situation?” If you are already feeling depleted and beyond your capacity, it’s best to seek appropriate support from others (including doctors, counselors, support groups) and consider taking up a mindfulness practice once you feel you have enough capacity. The most common difficulty in maintaining a mindfulness practice is keeping the momentum going after you have begun. It can be a great help to find a local group where you can routinely attend practice periods. A group can provide gentle accountability, support, and encouragement. If you feel uncomfortable about attending a new group alone, ask a friend to join you the first time. To find a group, try searching the internet for “mindfulness” plus your city or town name.